Konya Seker purchased grapes from the producers and started production in October, at the Fruit Juice, Vinegar and Grape Molasses Production Plant, it established right in the center of this region, namely the Taurus Mountains, to process such products as grape and apple, produced in Konya and Karaman’s Bozkir, Guneysinir, Hadim, Taskent, Yalıhuyuk, Ermenek, Basyayla, Sariveliler and Ahirli counties and all towns, villages and all neighborhoods in this region. Konya Seker, which is a farmer’s cooperative participation and aiming to increase agricultural production and income of the farmers of the region and to diversify producers’ incomes with product production variety it has and also placing bringing plants to process agricultural products to the economy of the region and the country in the center of its growth strategy and considering the growth in the industry with this strategy as a means for increasing agricultural production, now put Fruit Juice, Vinegar and Grape Molasses Production Plant into operation to enlarge vineyards and orchards and to take orcharding in the region under its wings. 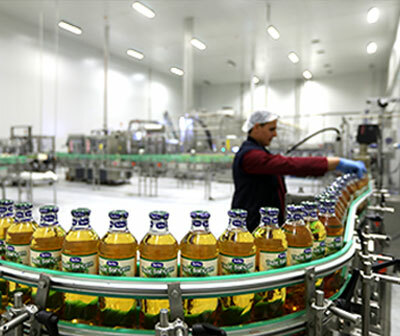 Torku Fruit Juice, Vinegar and Grape Molasses Production Plant, which was completed with a 47 Million TL investment budget and founded in the center of the Taurus Mountains, was built on a 106 thousand square meter outdoor and 20 thousand square meter indoor area. Designed with an integrated facility logic, just like every other investment by Konya Seker, the facility will be capable of increasing production capacity, parallel to the increase in the development and growth in orcharding and end product and product processing diversity throughout Konya, in addition to the region, it was founded. By processing grapes and apples grown in the region, NFC (Uncentrated) fruit juice, vinegar and molasses are produced. Finished goods to be produced in the facility are offered to the market without additives and as a first class product. 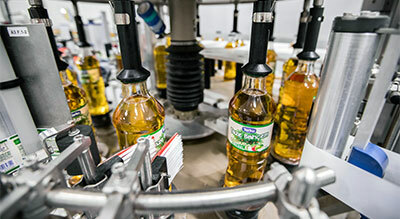 Grapes and apples, grown in the region, are processed and NFC (Non Concentrated) fruit juice, vinegar and grape molasses are produced at the plant. Finished products, produced at the plant, are offered to the market without additives and as 1st class products. Apples and grapes, collected in the region, will be used for vinegar and fruit juice production, according to their condition at the plant, which will carry out production in accordance with Torku’s Natural and Healthy product approach and whose project was designed not to compromise quality and hygiene standards. Production process of apple and grape juices to be produced at the plant will be completed after the fruits are pressed and their rough residue is removed in the separator, without being subjected to any process and filled and closed immediately, and offered to the consumers as the most natural state of fruits. Clear products will be subjected to sedimentation process in addition to this process and again produced without additives. 250 ml and 1 liter fruit juice, 390 g and 725 g grape molasses and 500 cl vinegar shall be produced in glass bottles and 5 liter, 1 liter and 2 liter vinegar shall be produced in plastic bottles at the plant.